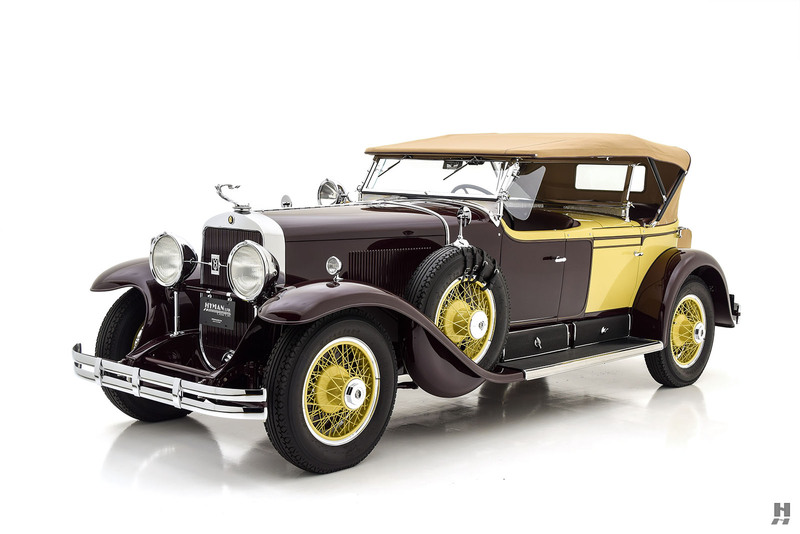 For the 1929 model year, Cadillac took a steady, measured step forward over the previous year’s models. 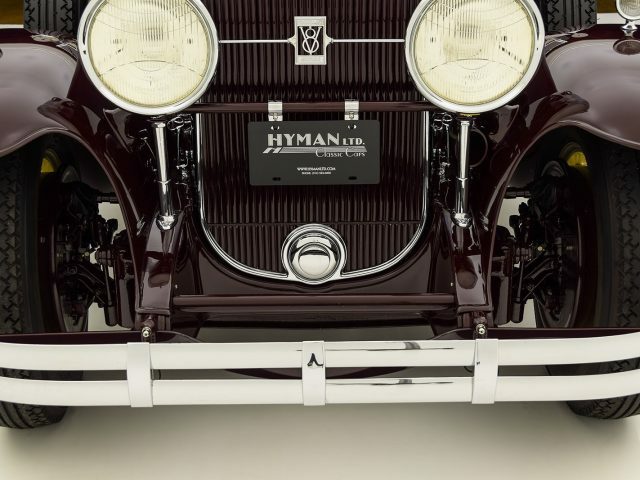 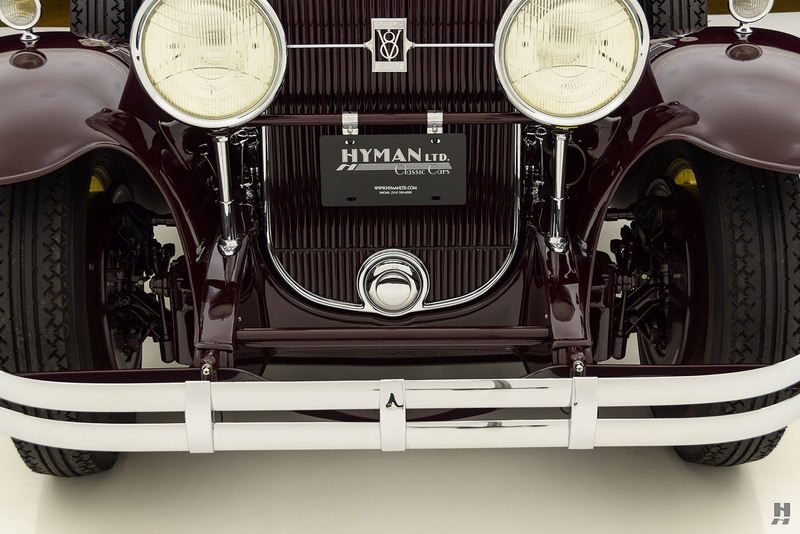 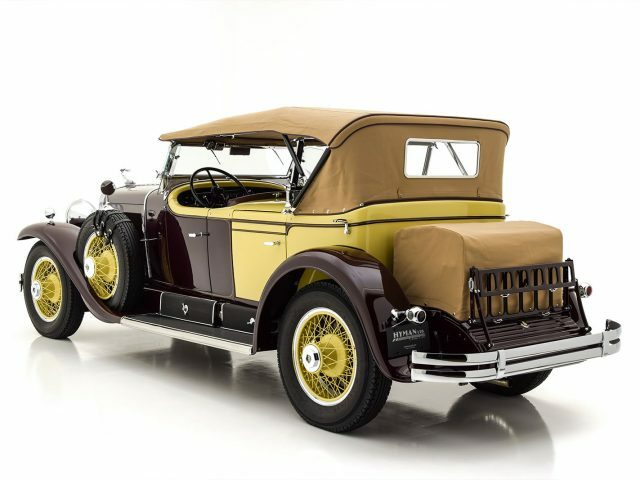 Outwardly, there was little to differentiate 1929 cars from their predecessors, excepting some minor detail changes like relocating the parking lamps to the fenders which was a fashionable move as much as a practical one. 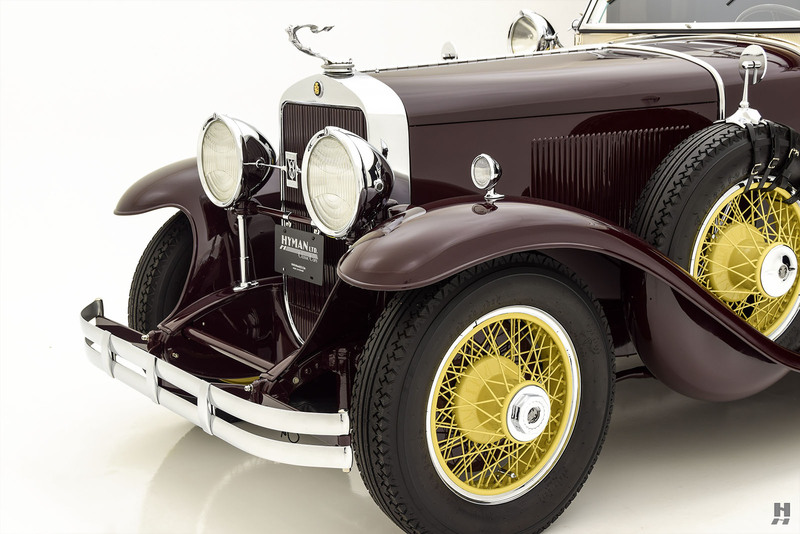 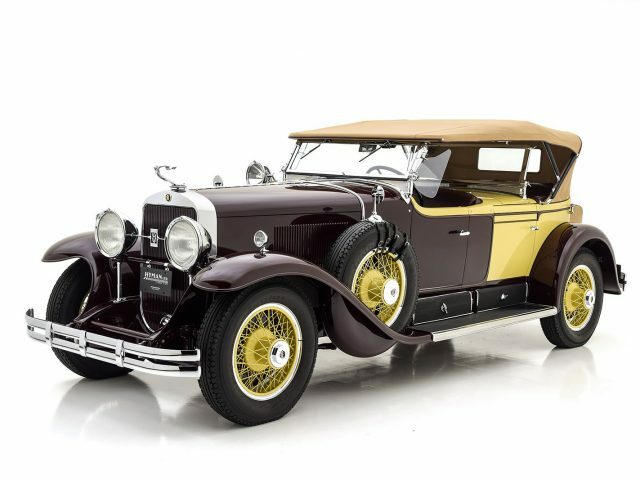 The 1928 models were the first Cadillacs styled by the great Harley Earl following his 1927 debut at LaSalle, so there was little to improve upon in terms of the styling. 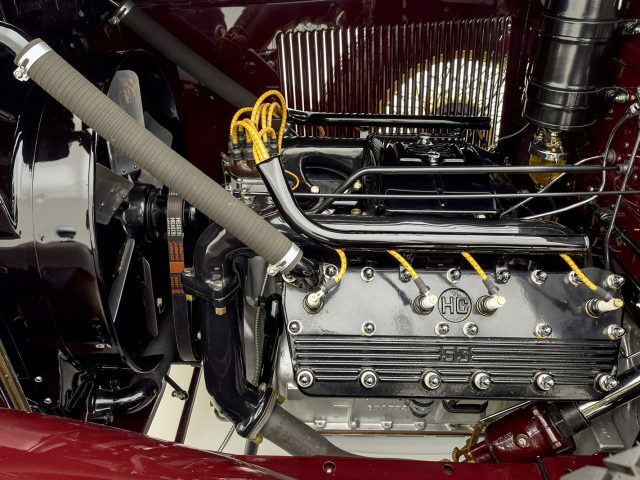 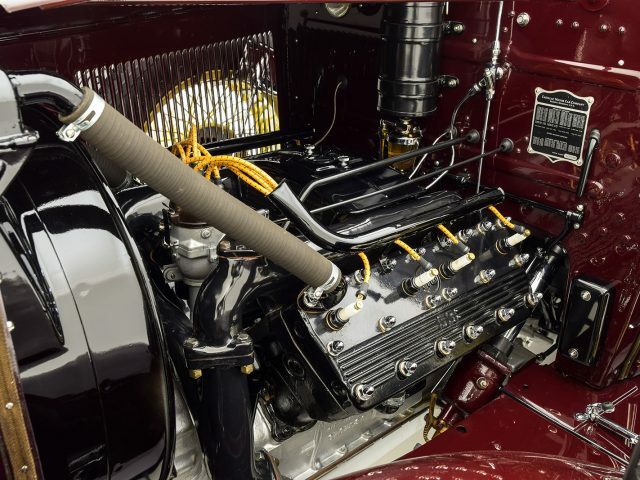 All of the most significant improvements took place under the skin, where the L-head V8 engine got a bump in displacement from 341 cubic inches to 353 cubic inches. 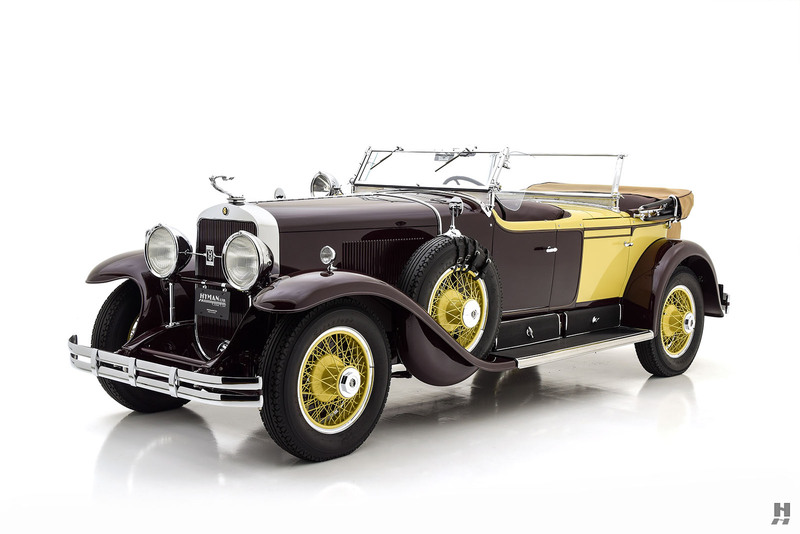 Horsepower was up to 95, delivered with the kind of refinement that Cadillac buyers came to expect. 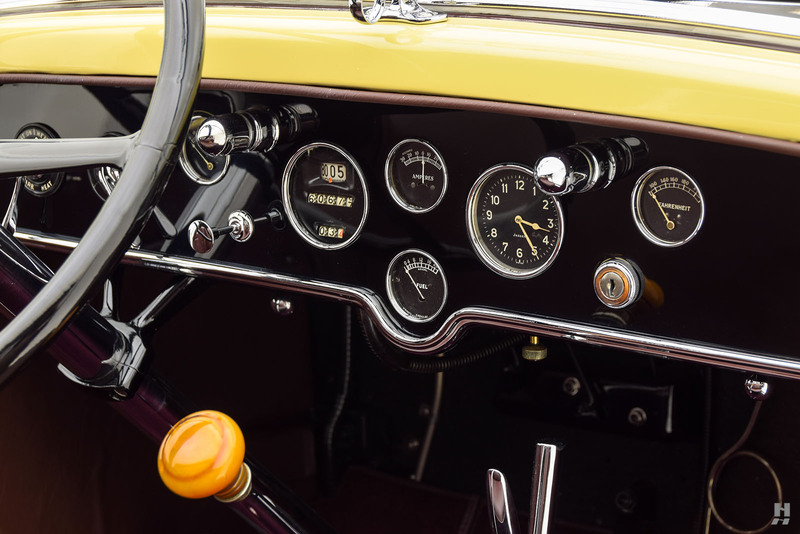 Further enhancing road manners was the introduction of the new “clashless” Synchro-Mesh Silent-Shift transmission. 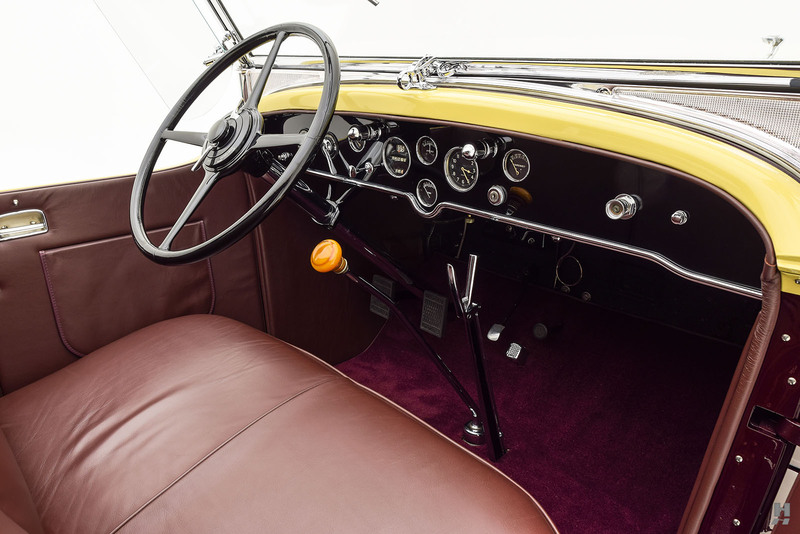 The new gearbox did away with the need for double-clutch upshifts and allowed for effortless downshifts, particularly valuable in chauffeur-driven models. 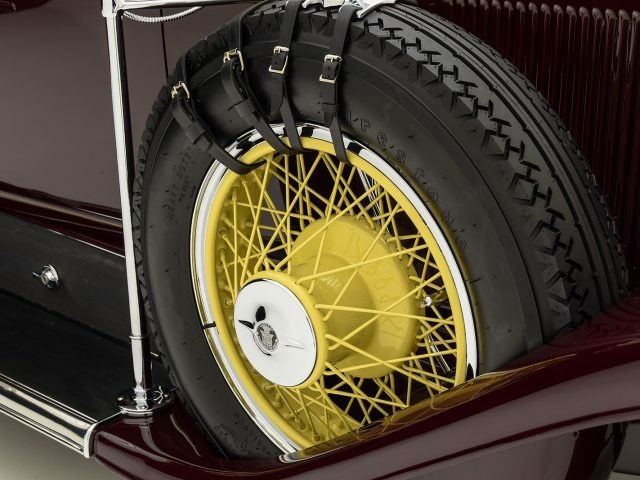 Cadillac’s commitment to safety and technological innovation continued with improved four-wheel mechanical brakes and shatter-proof safety glass installed on all models. 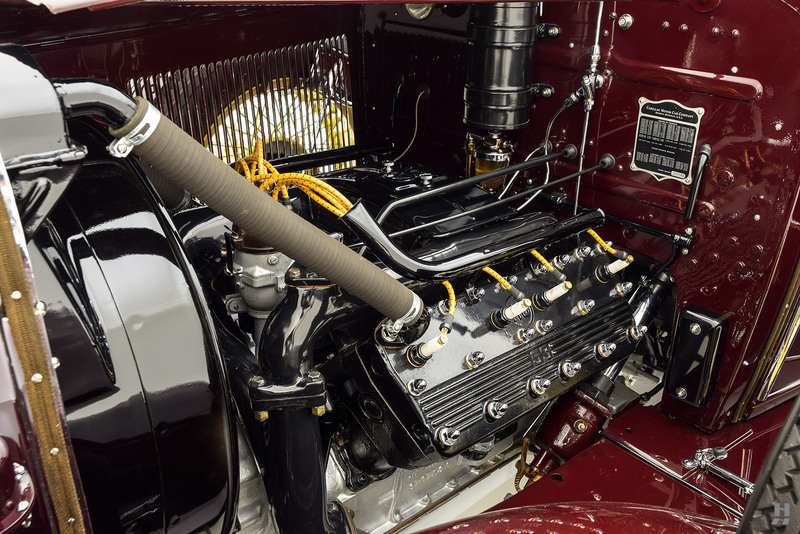 With the revolutionary V16 flagship still a year away, the V8 Series 353 served as Cadillac’s only model, available in a host of elegant body styles to suit virtually requirement. 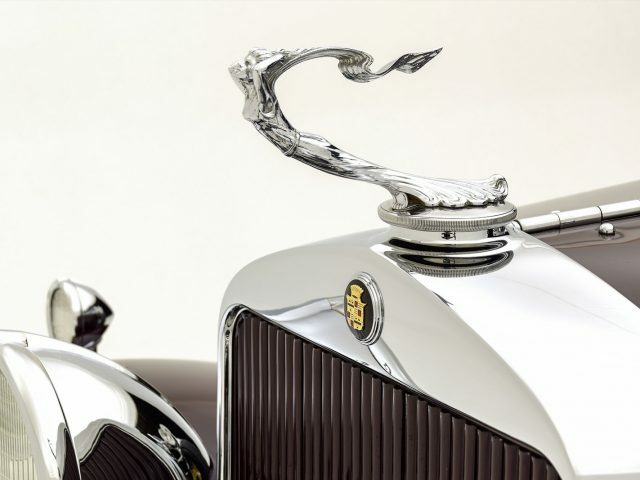 For those requiring assurance of exclusivity, Harley Earl would personally design a custom body for select clients, for a healthy premium, of course. 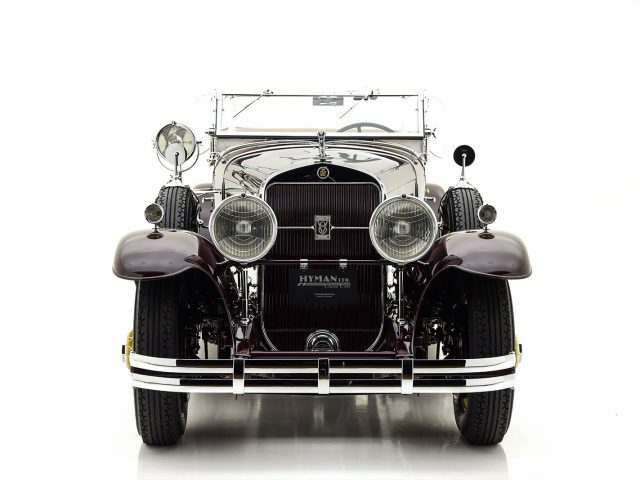 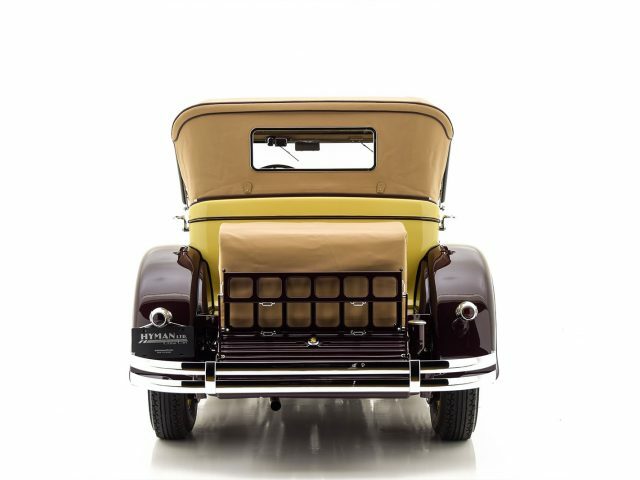 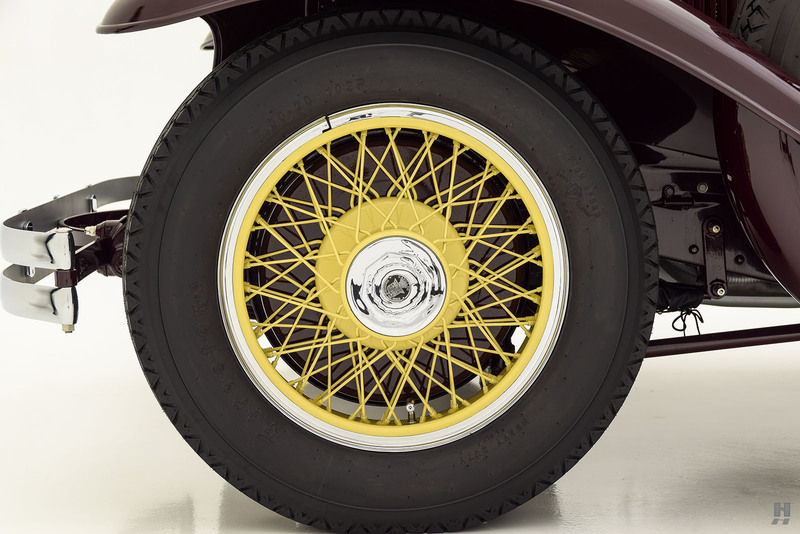 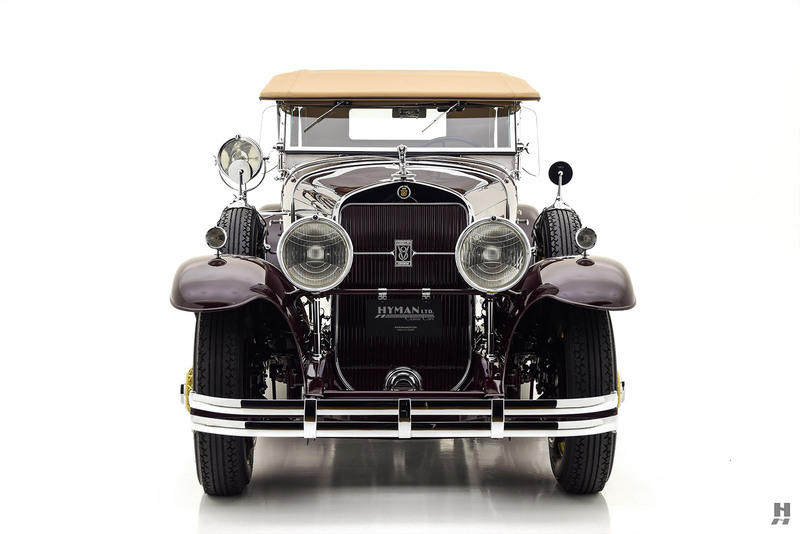 In keeping with Cadillac tradition, catalog bodies were constructed by either Fisher or Fleetwood depending on the style. 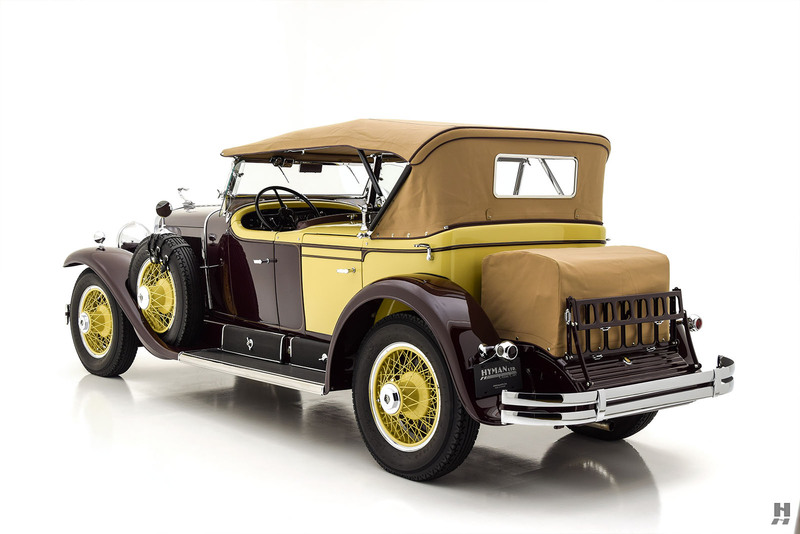 Fisher’s catalog consisted of twelve body styles, both open and closed. 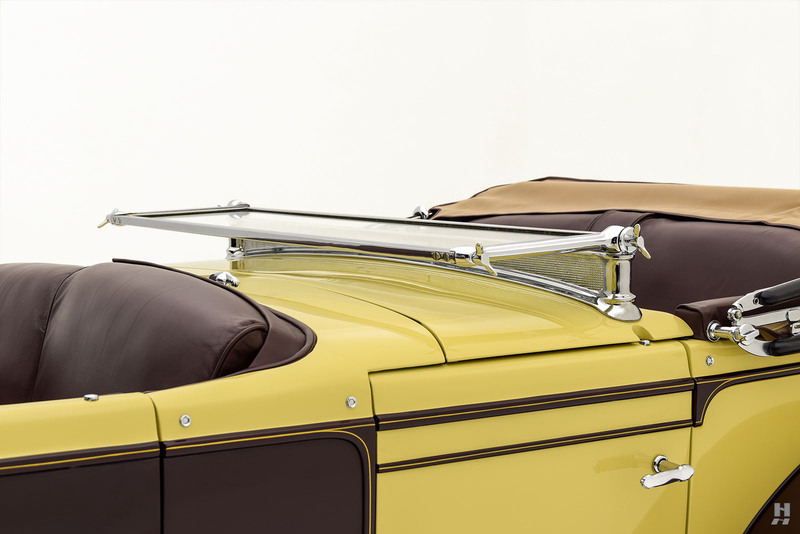 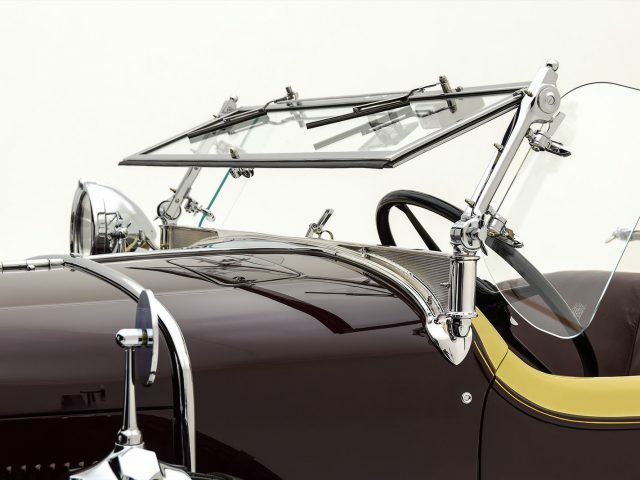 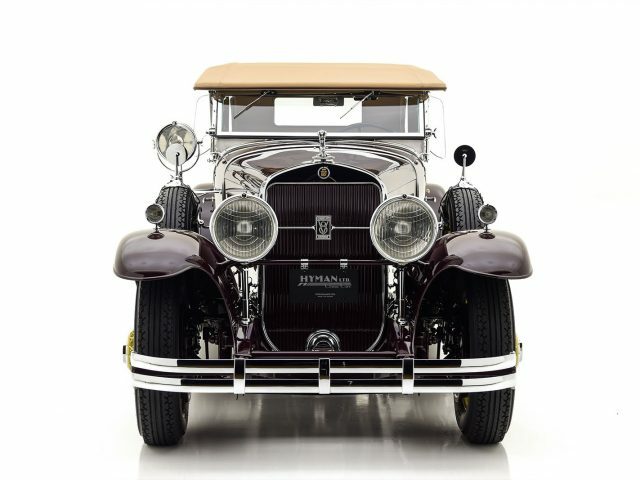 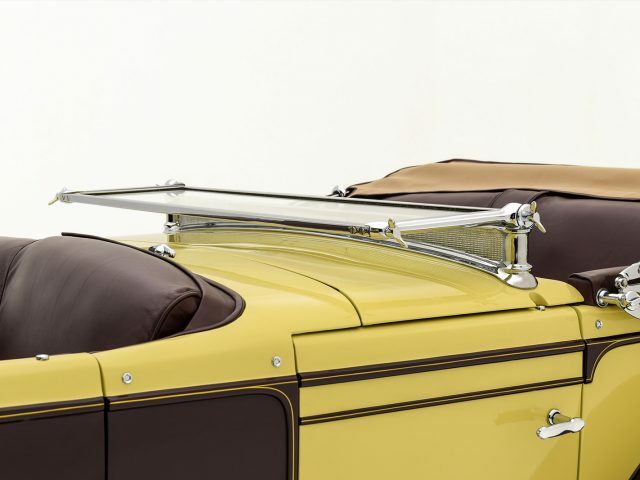 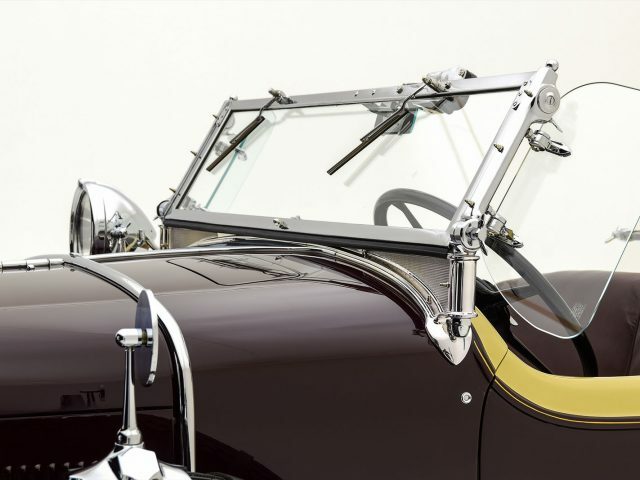 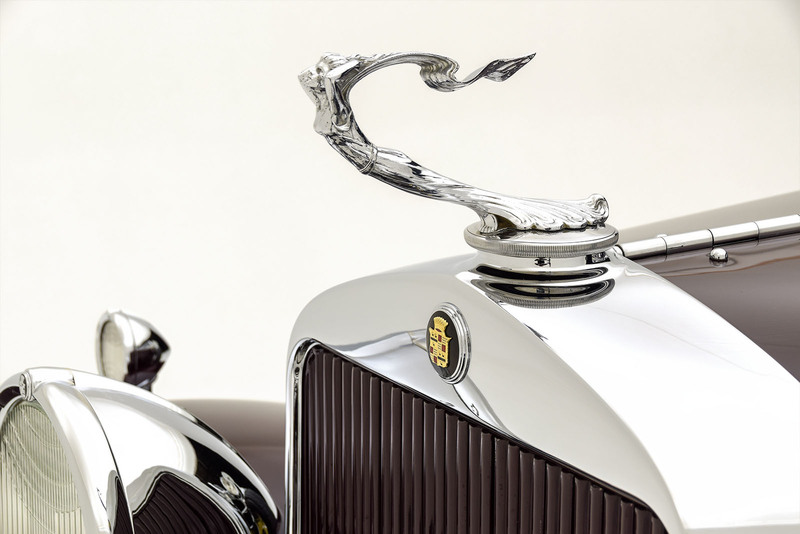 Each coachbuilder had unique touches they applied to their bodies; however, the quality of the craftsmanship was up to the exacting standards demanded by Cadillac bosses and the clients they served. 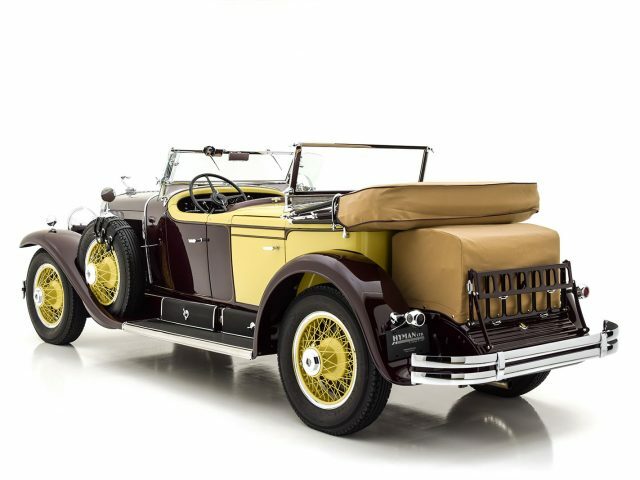 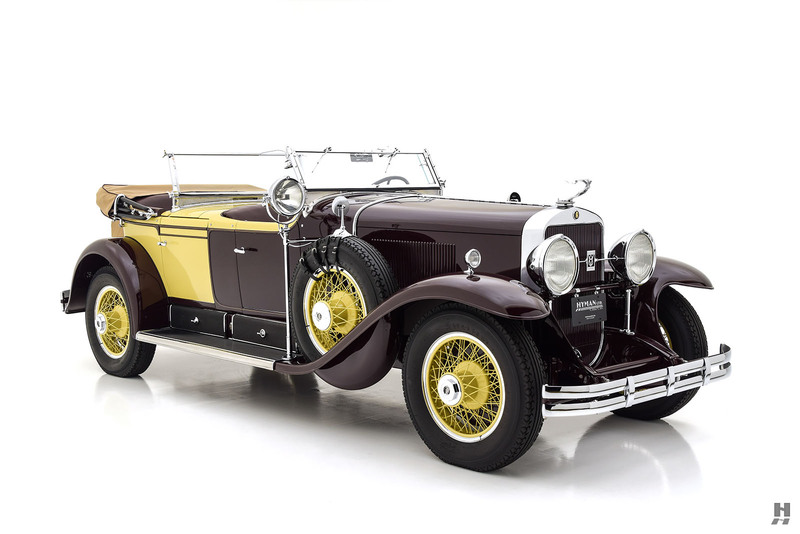 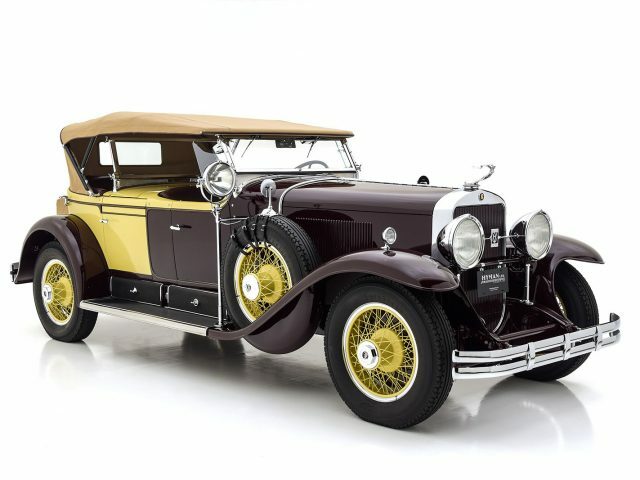 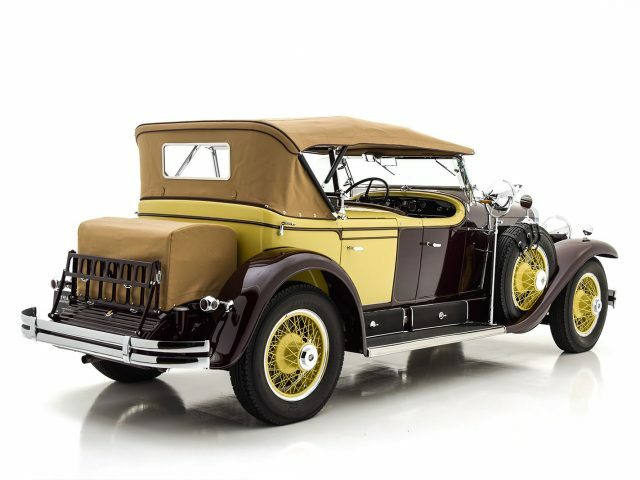 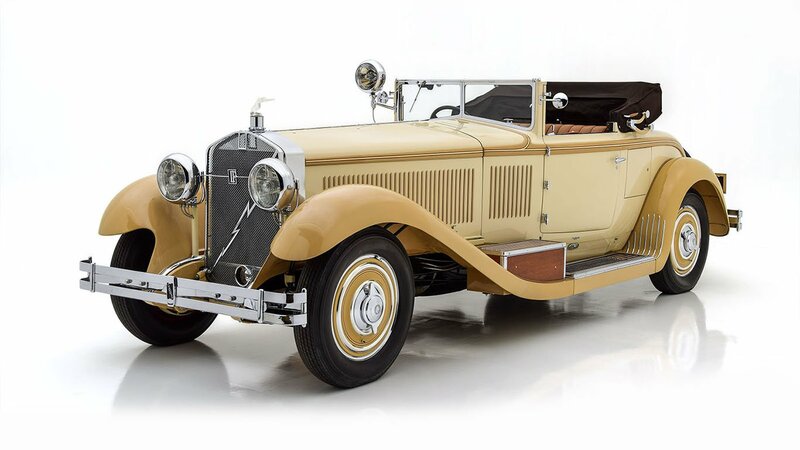 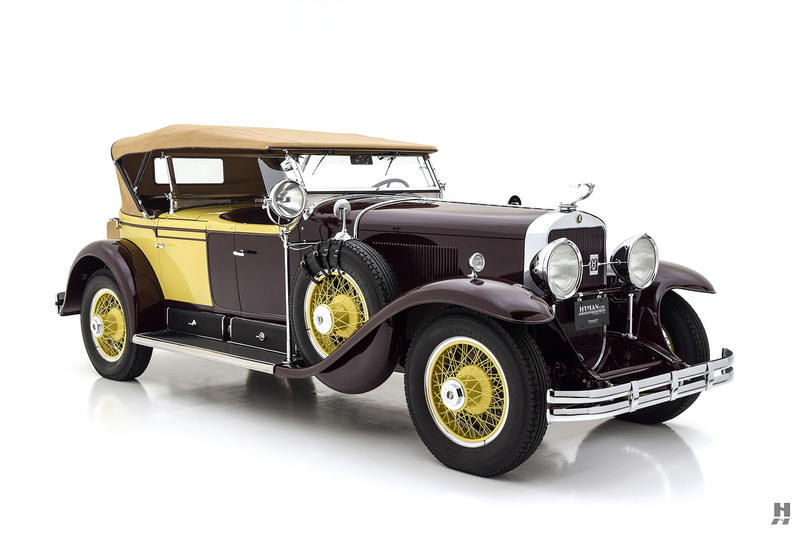 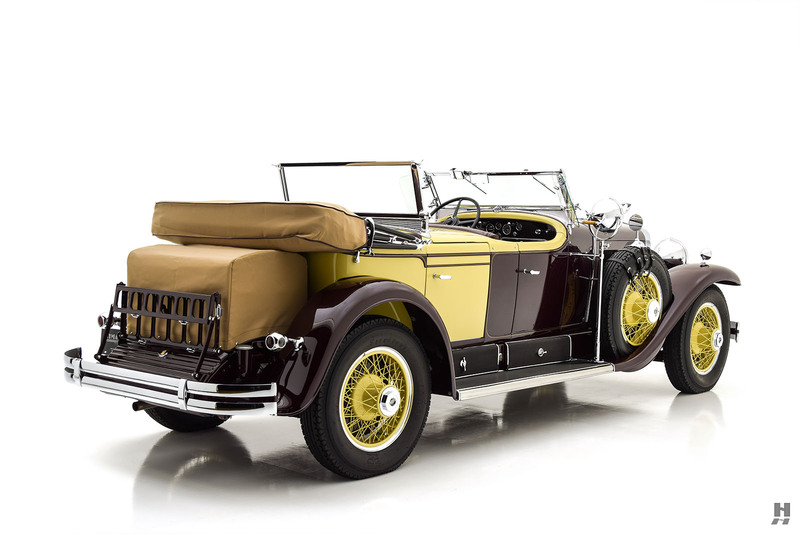 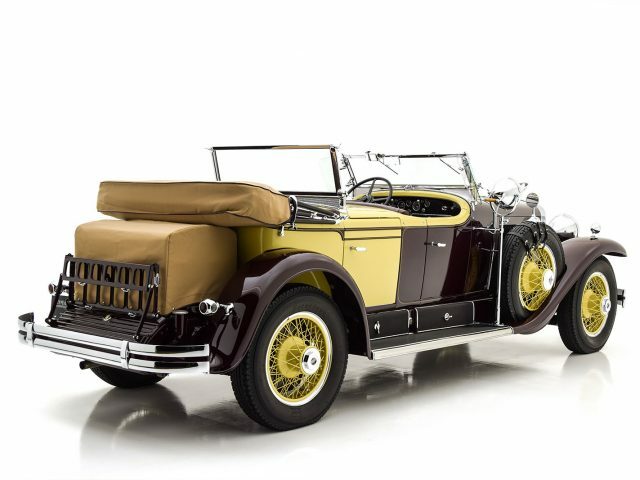 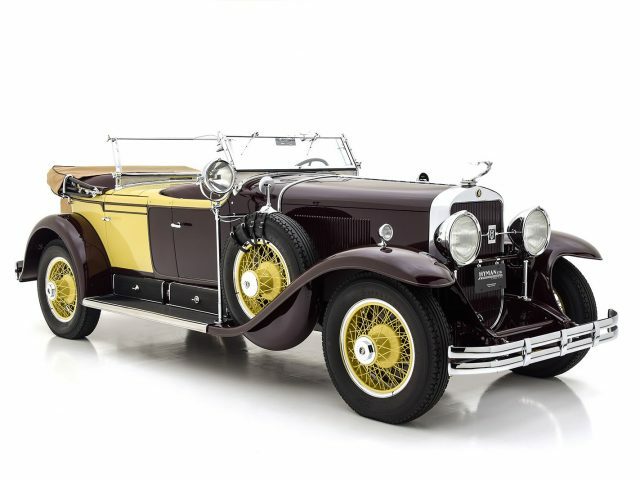 On offer is one of the most dramatic selections from the Fisher catalog for 1929; Style 1183-B, better known as the 4-passenger Sport Phaeton. 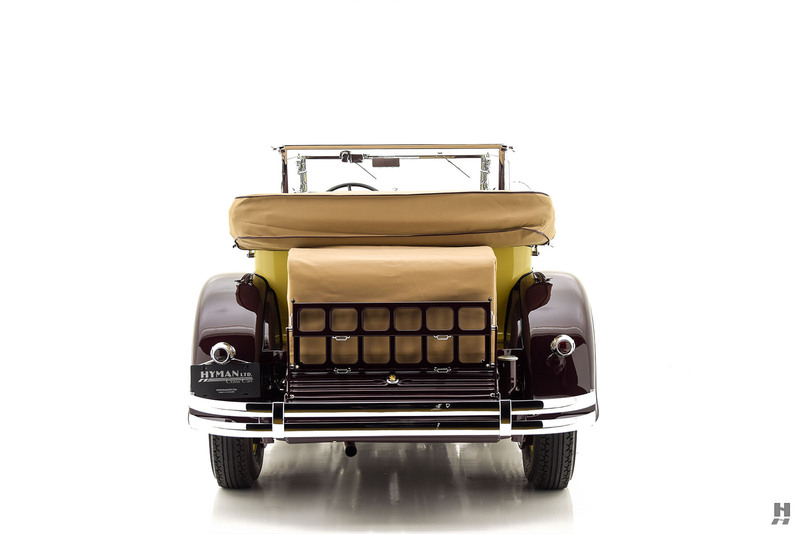 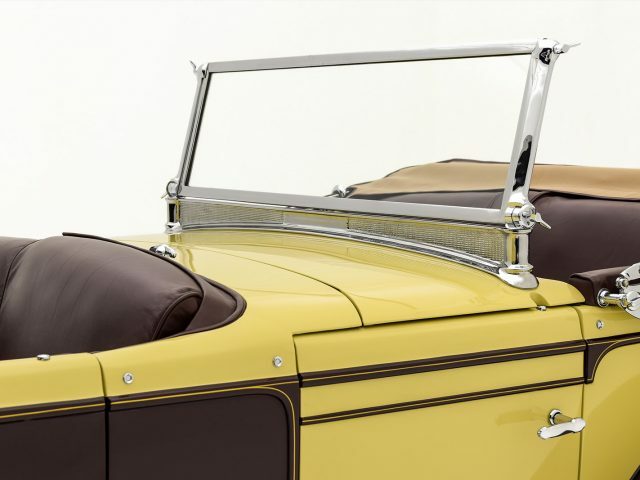 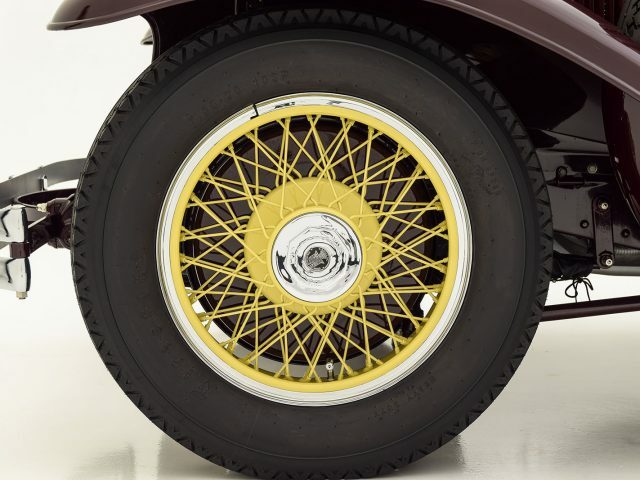 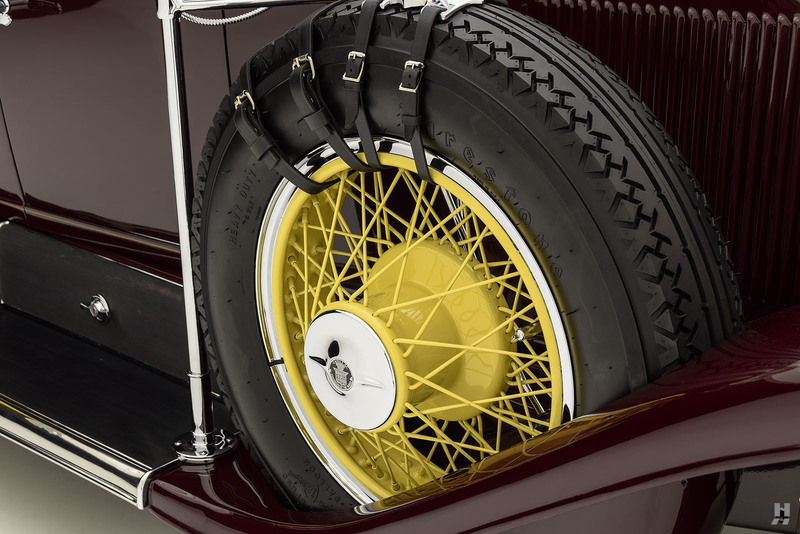 At $3,950, this was one of the costliest bodies in the Fisher catalog, and it is brimming with Harley Earl’s signature flair. The Fisher body tag and Cadillac build sheet reveal this to be a genuine Sport Phaeton. 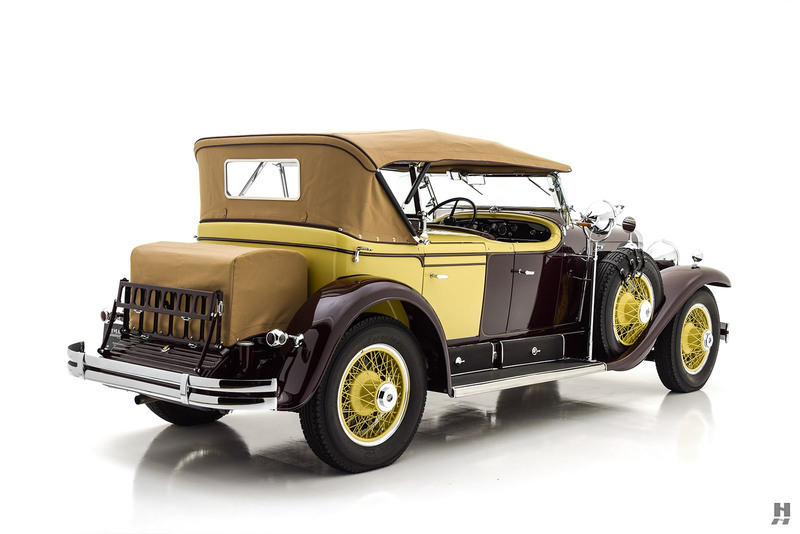 Records indicate it shipped from Detroit to Boston on November 24, 1928, before being delivered to its first owner in Portland, Maine. 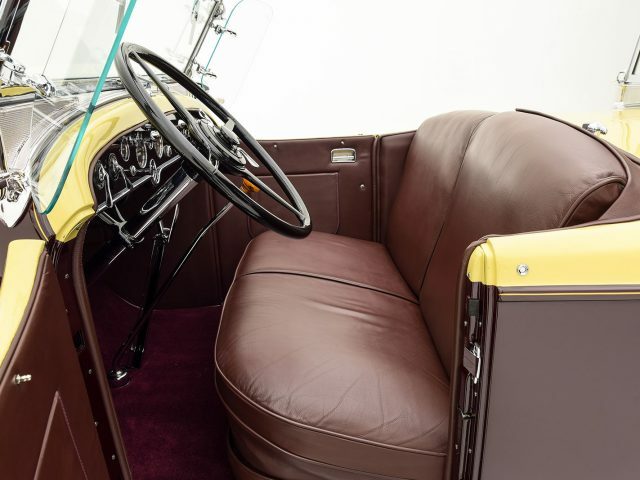 Not much is known of its earliest history, however, according to the restorer, John Greenleif, the car was later used by a Rhode Island mortuary as a flower car. 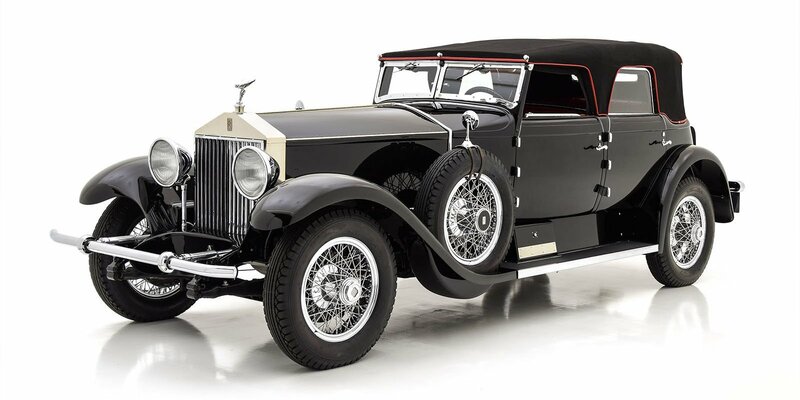 It seems a rather sporty choice for a funeral procession! 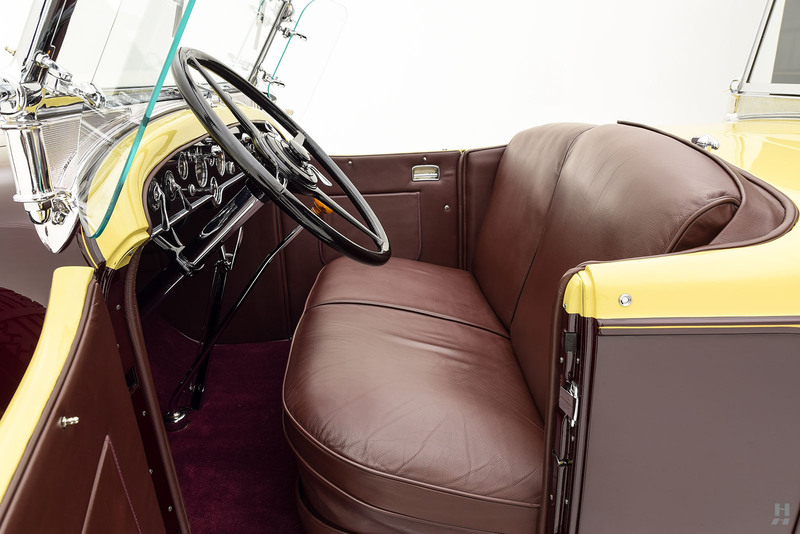 One of Harley Earl’s trademarks was his bold use of the color palette and accent lines. 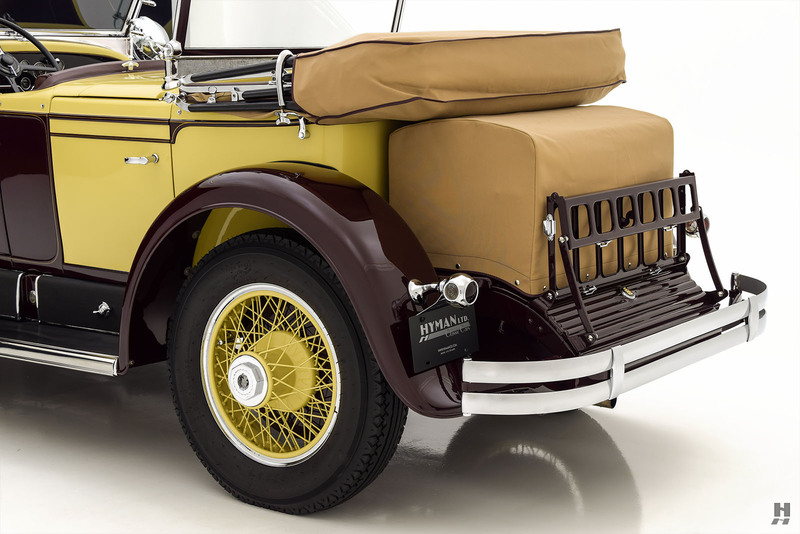 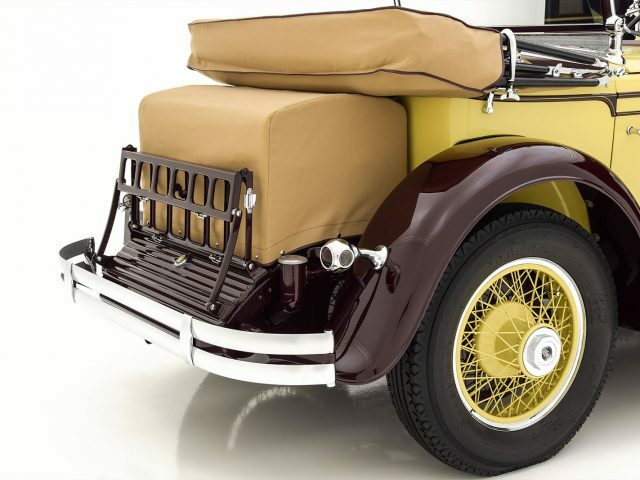 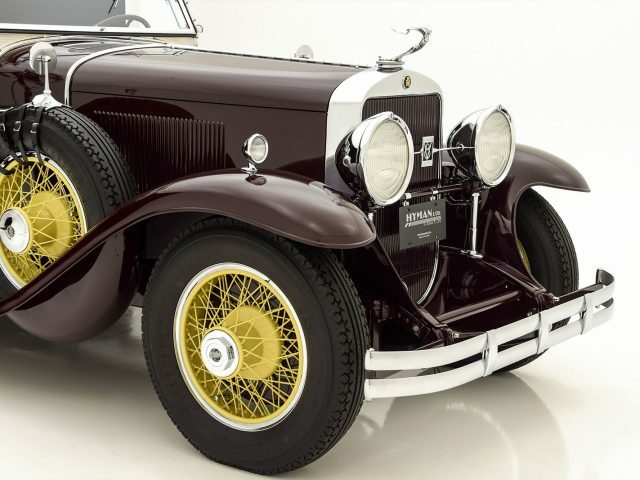 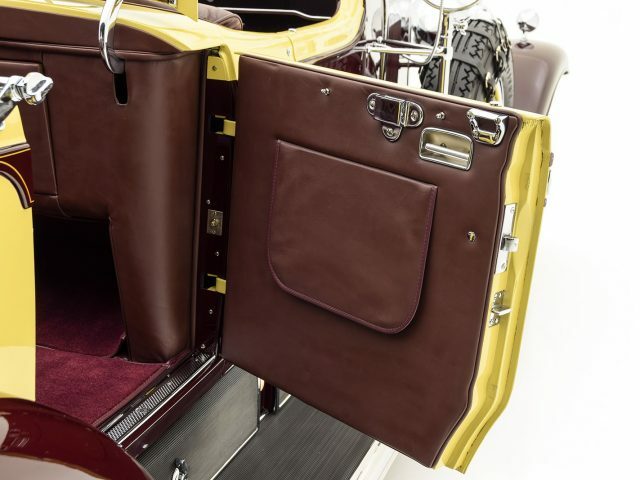 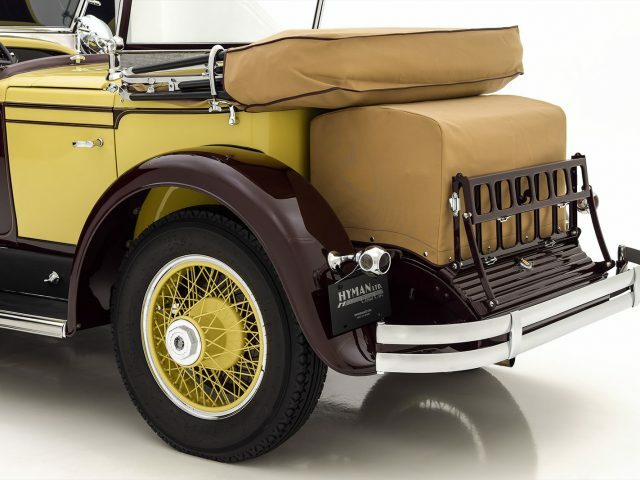 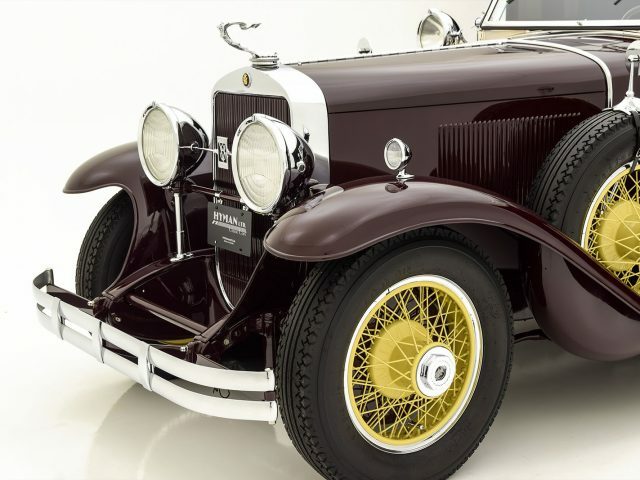 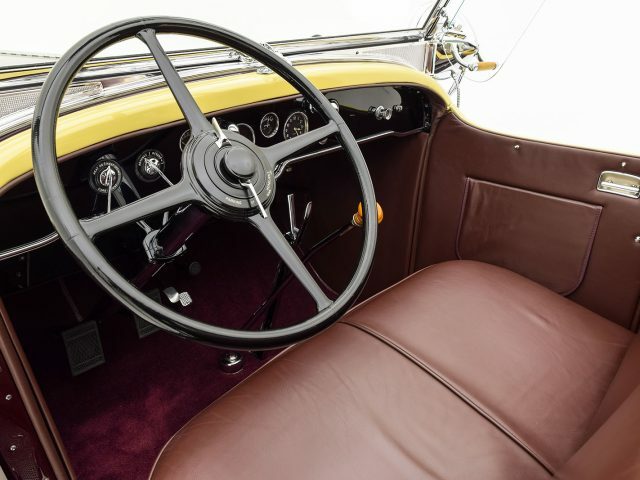 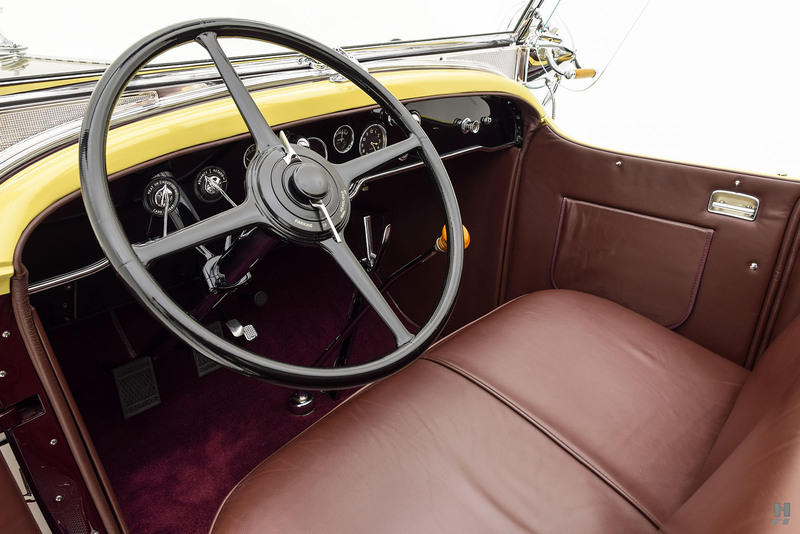 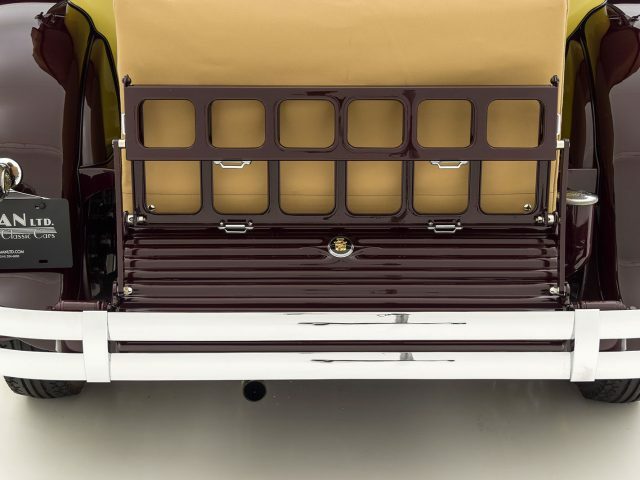 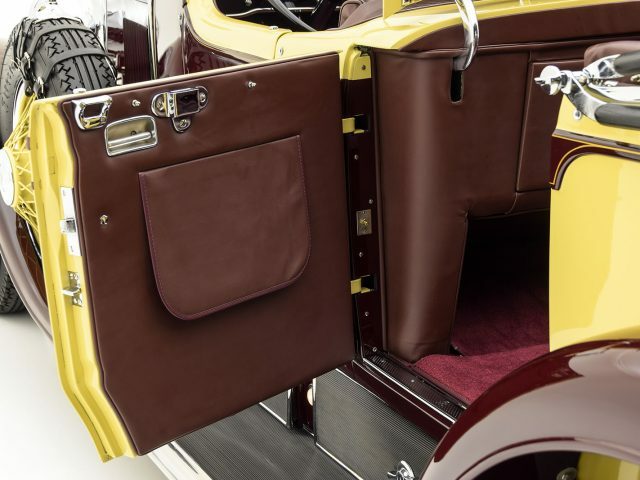 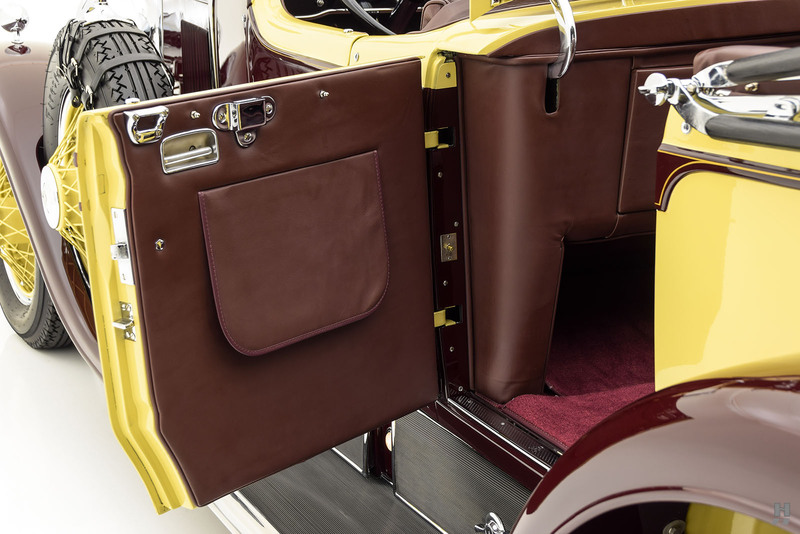 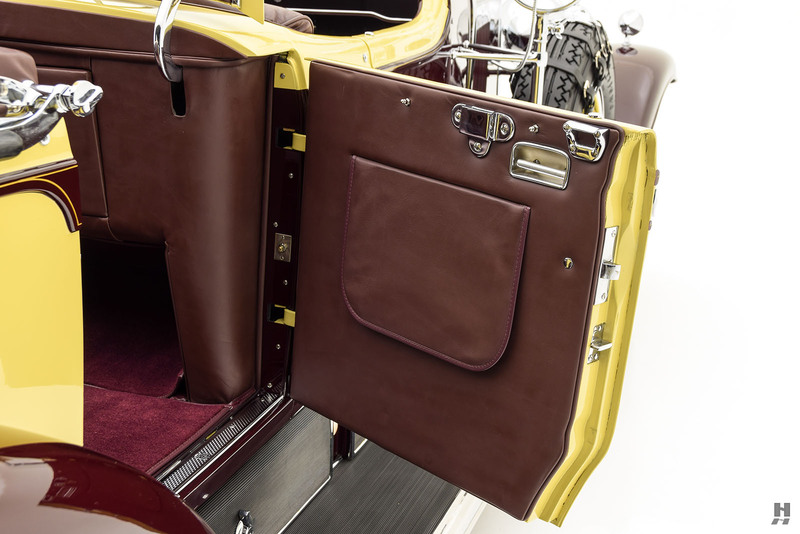 This car is restored in its striking original color combination of Madiera Maroon with Carolina Ivory. 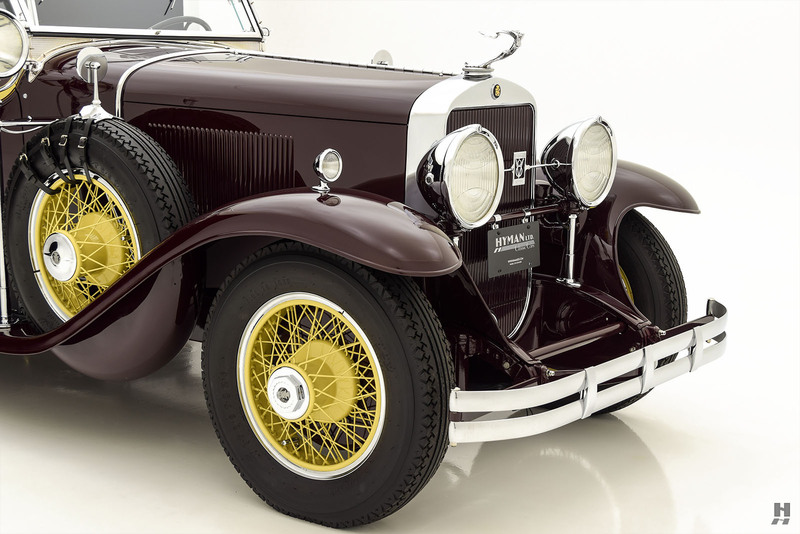 The lively and starkly contrasting color scheme is pure Harley Earl, and it accentuates this car’s sporting purpose beautifully. 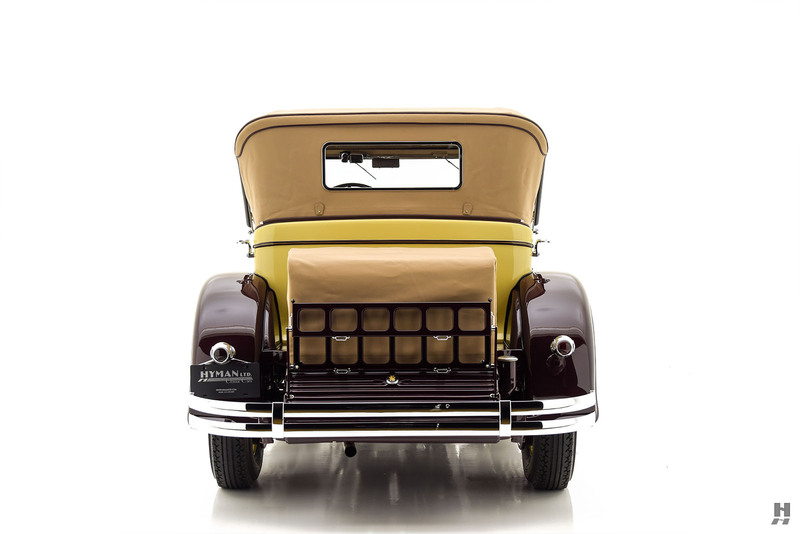 The body is comprehensively accessorized with a goddess mascot, dual side-mount spare wheels with mirrors, an exceptionally rare side-mounted Cadillac-branded searchlight, and a covered trunk with an additional trunk rack behind. 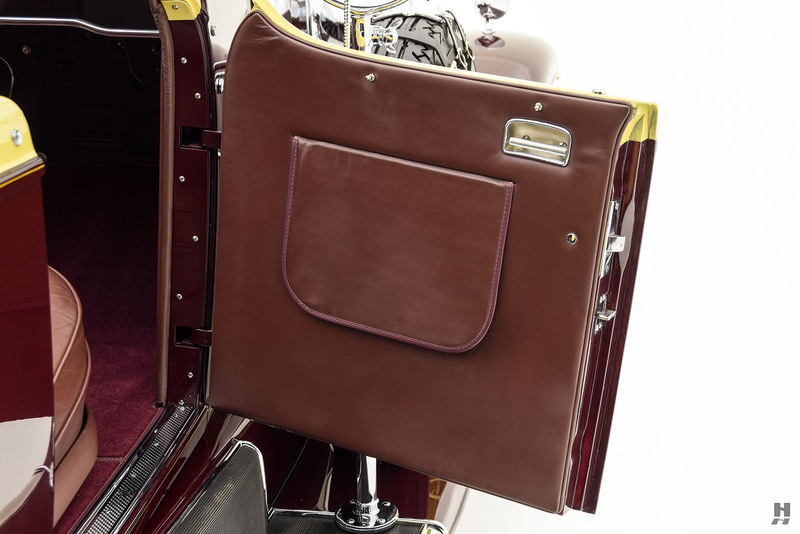 The tan canvas top is piped in maroon, and a full set of side curtains is included. 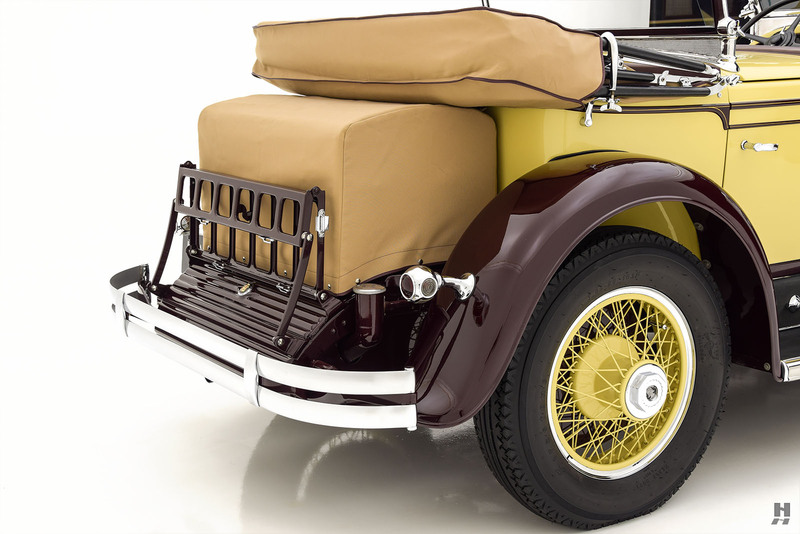 The optional wire wheels are finished in Carolina Ivory to complement the body and dressed with chrome trim-rings and black wall tires. 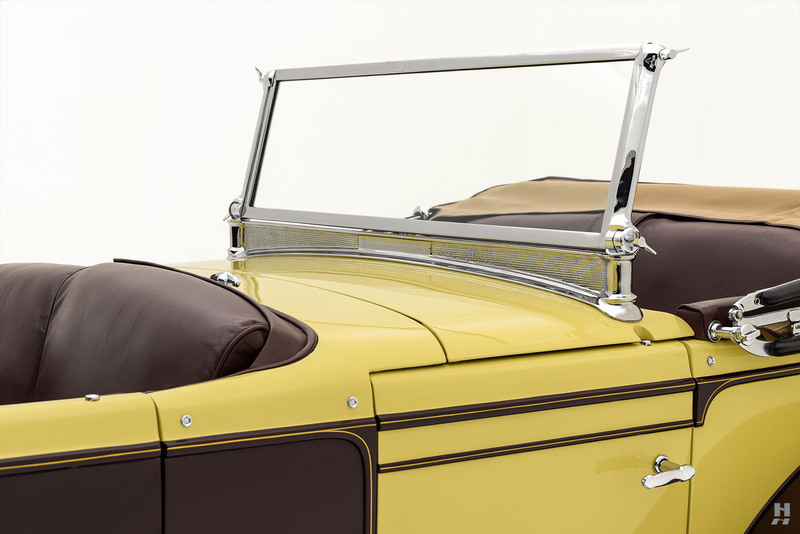 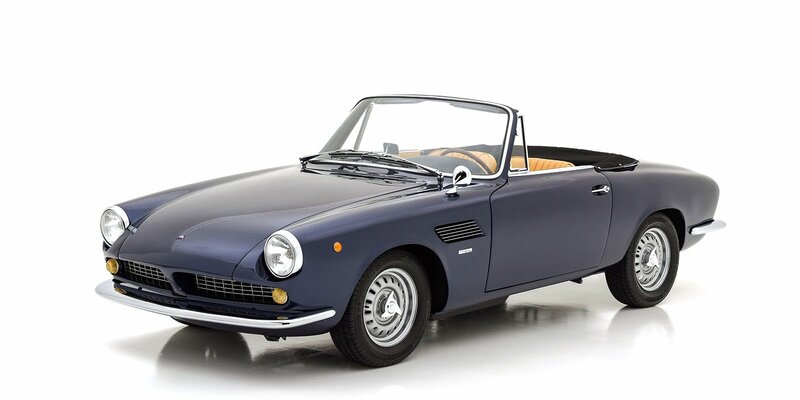 The front windscreen opens for ventilation, and both ‘screens can be folded flat for the ultimate in Classic Era sportiness. 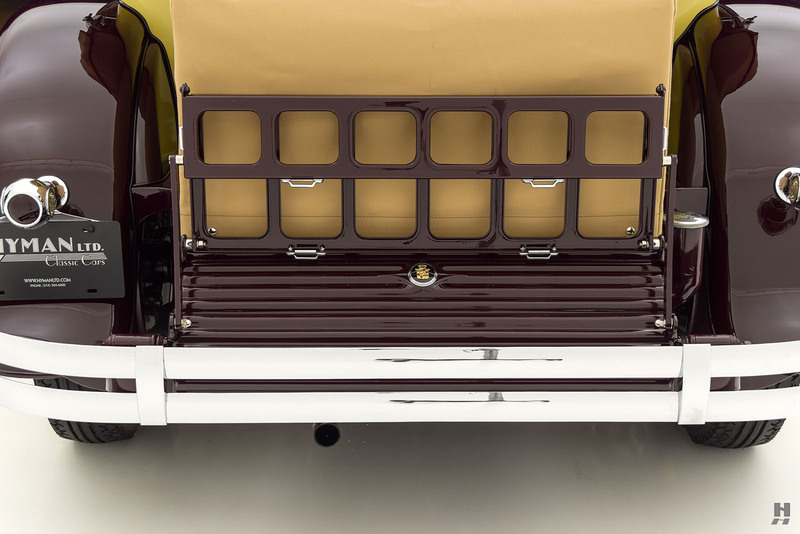 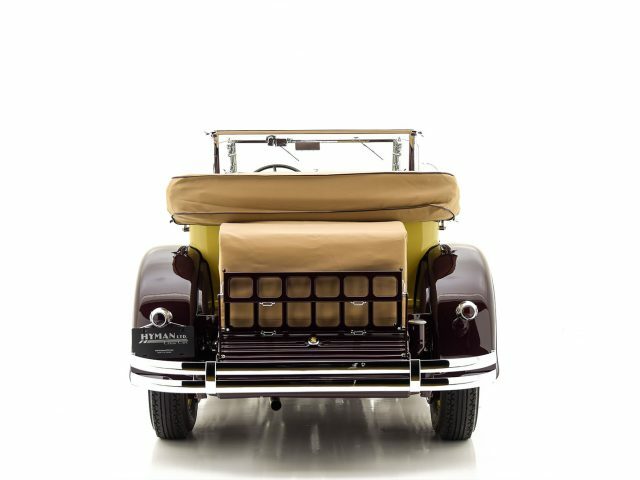 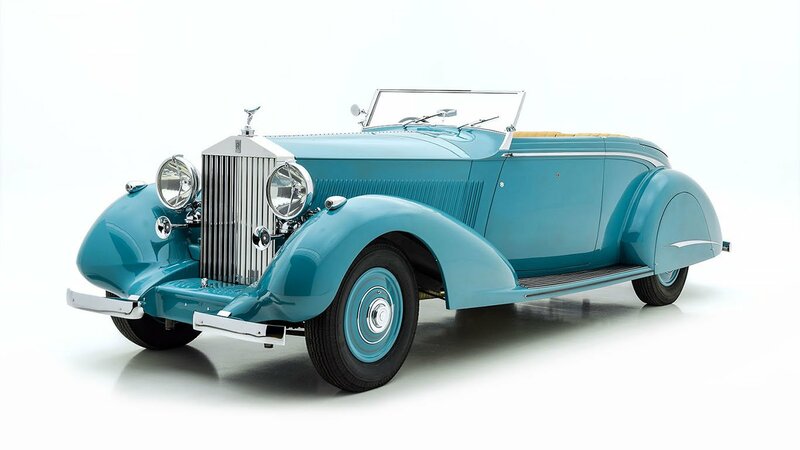 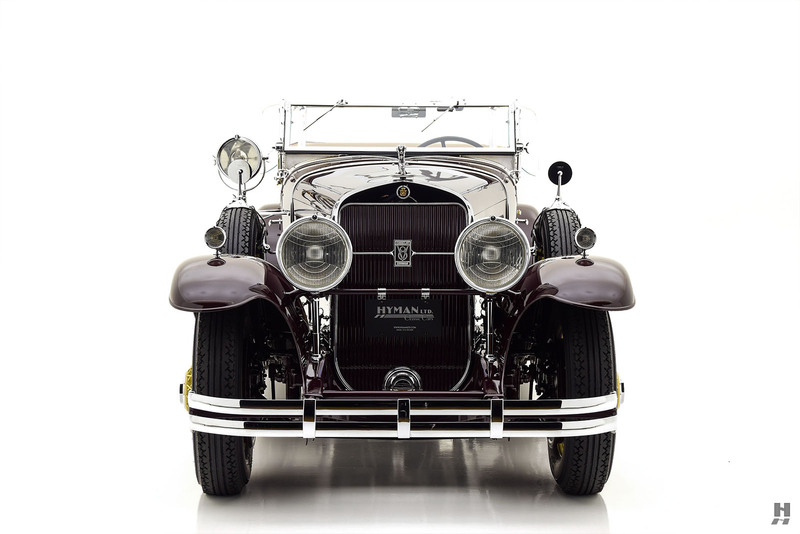 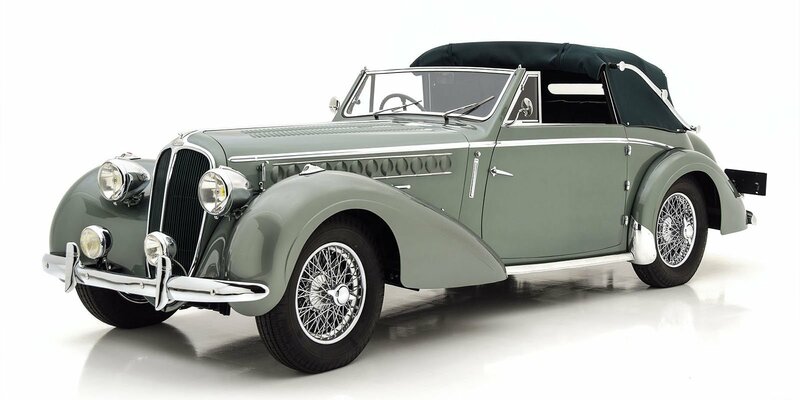 The high-quality restoration presents in beautiful order with excellent paint atop beautifully straight coachwork. 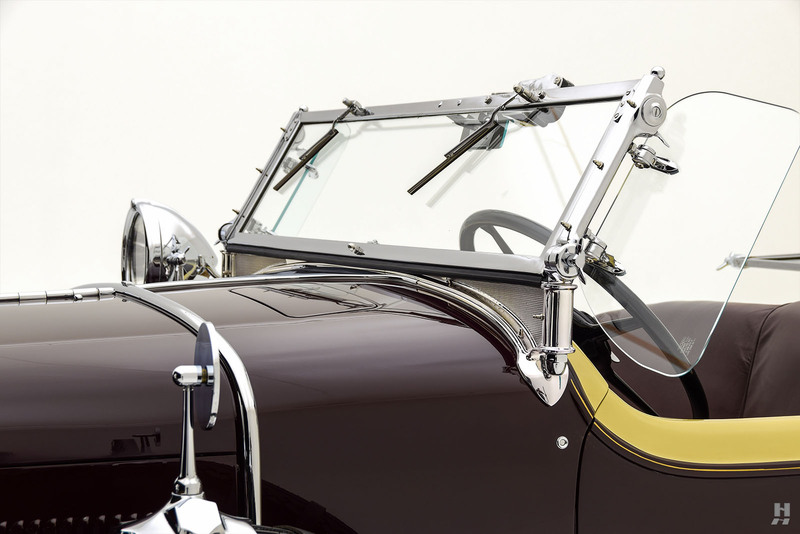 Chrome plating and brightwork are similarly outstanding, restored to a high standard and carefully preserved in the hands of the most recent owner. 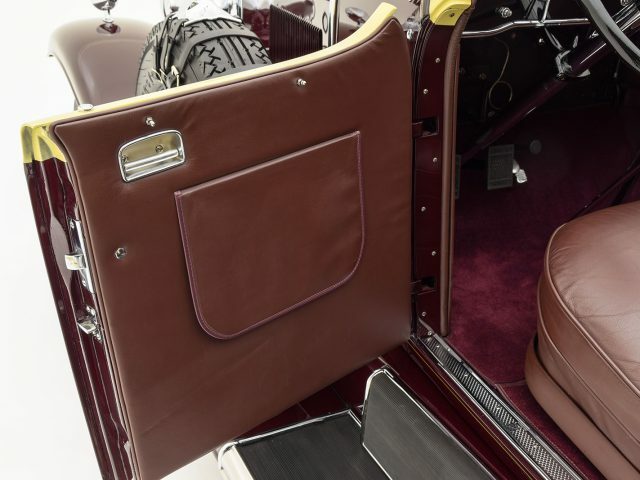 Maroon leather upholstery covers the front and rear seats, repeating on the door cards and seat backs, and with matching maroon carpets. 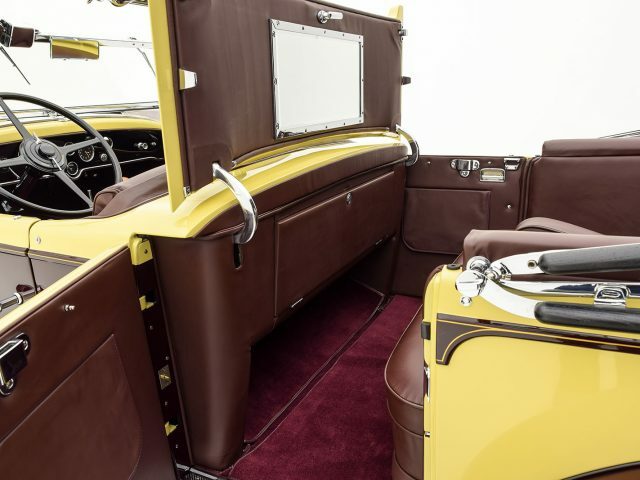 The presentation is outstanding, with fine detailing found throughout the cabin. 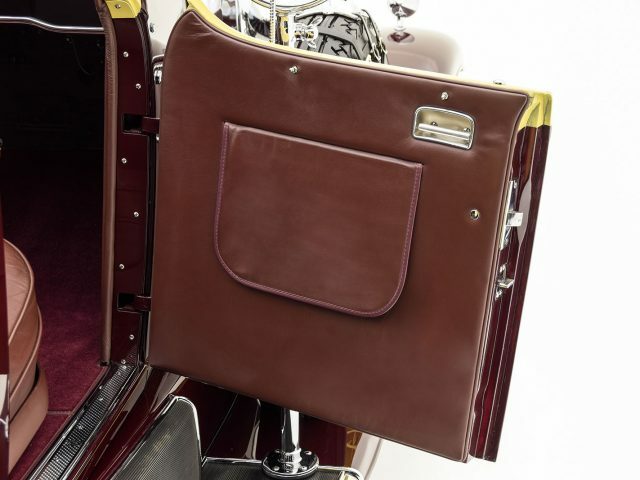 The leather shows signs of light use with some minor creasing and character marks, primarily on the driver’s seat. 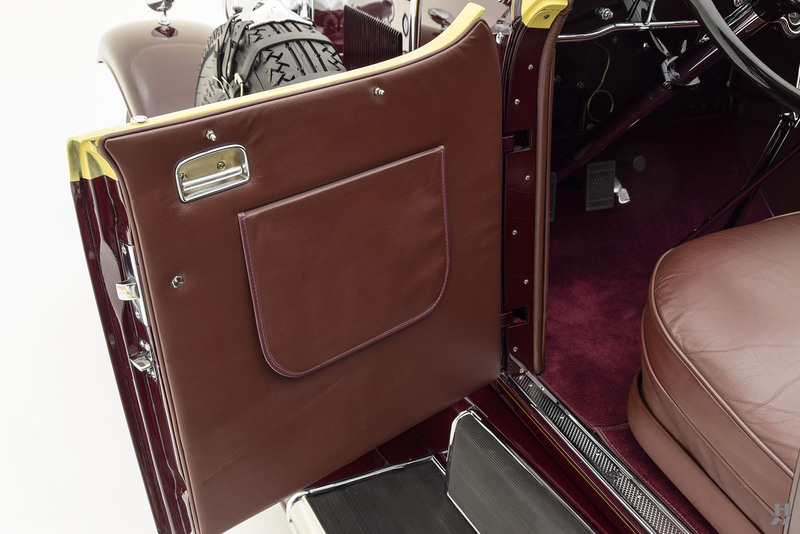 The rear seats and carpets still appear quite fresh. 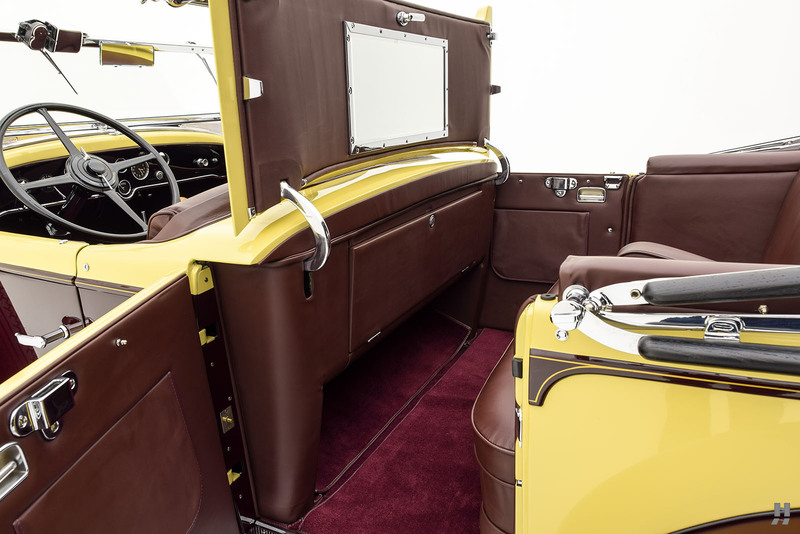 Handy storage cabinets are built into the back of the front seat, presumably to stow lap blankets and weather equipment for rear seat passengers. 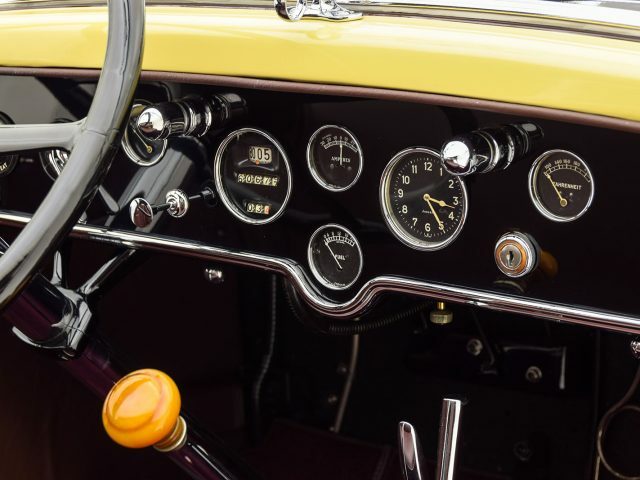 Lovely original instruments grace the black-painted fascia, and switches and controls all present in similarly excellent condition. 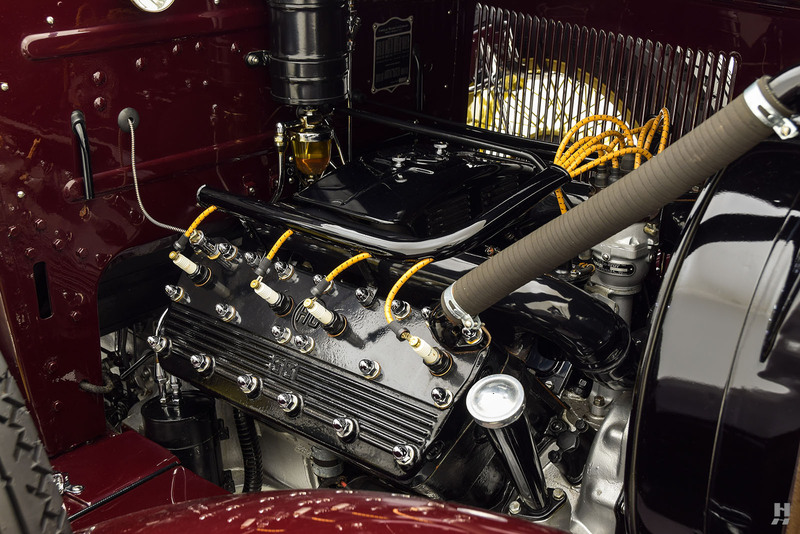 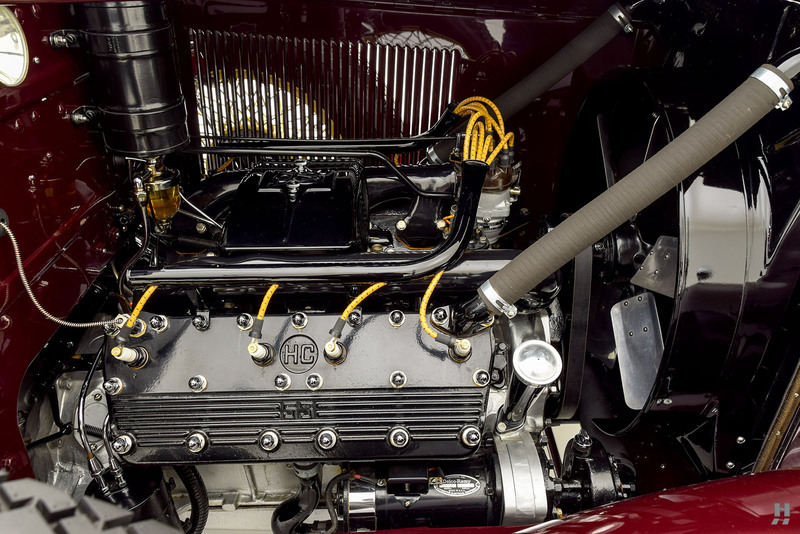 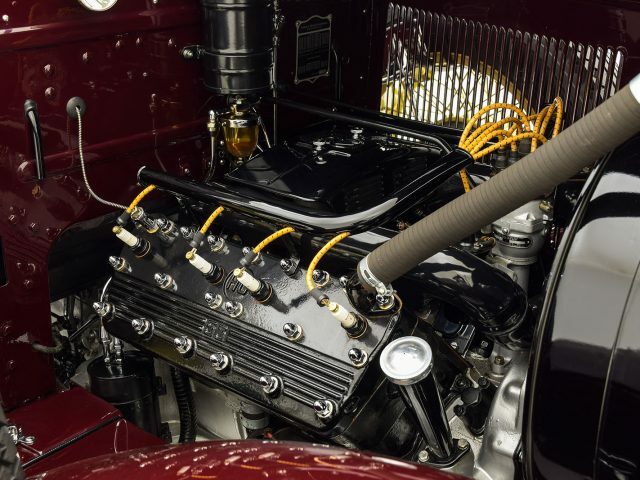 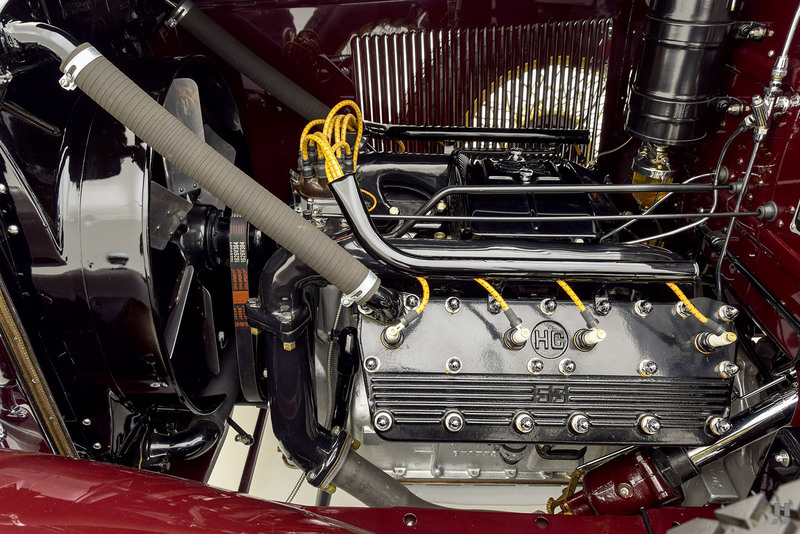 The 353 cubic-inch V8 is beautifully detailed in period-correct colors and finishes. 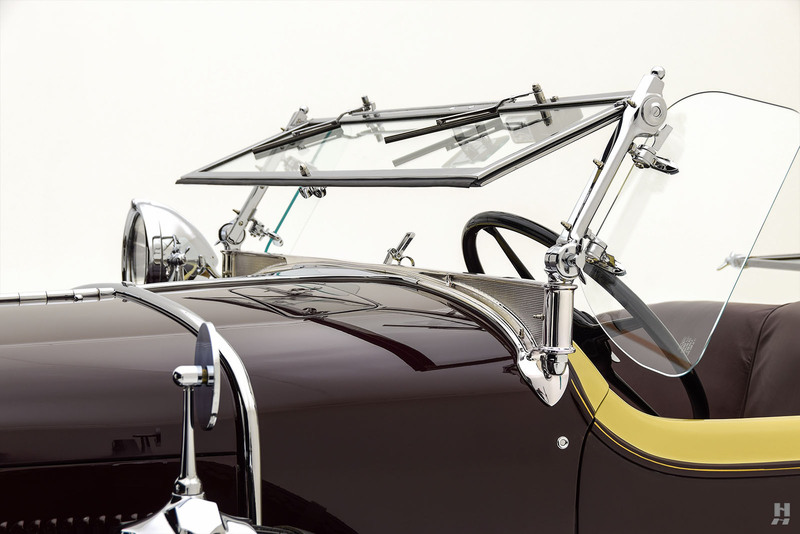 As it was when new, enthusiasts laud the L-head unit for its power, refinement and robust nature. 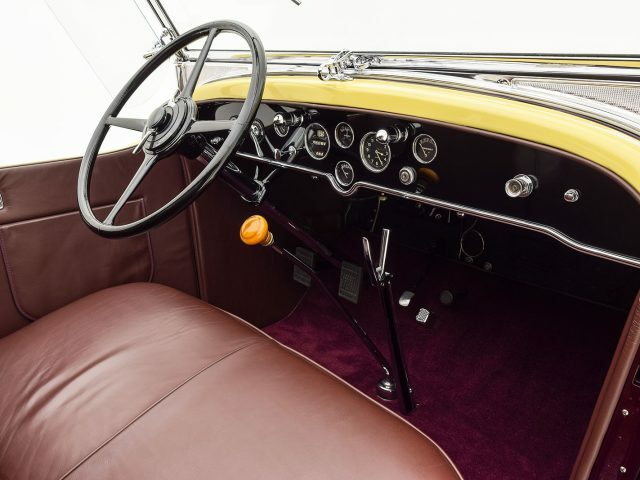 The driving experience is delightful, thanks in large part to the 3-speed synchromesh gearbox, powerful brakes, and double-action Delco shock absorbers. 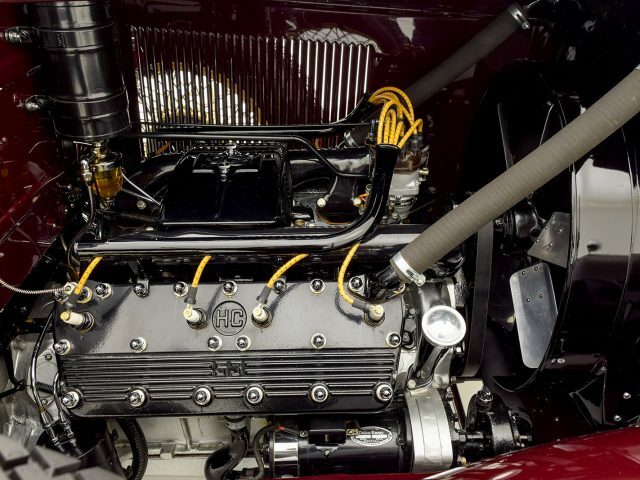 Performance is quite brisk for a Classic Era motorcar, and few automobiles of the period can touch the Cadillac 353 for its stellar road manners. 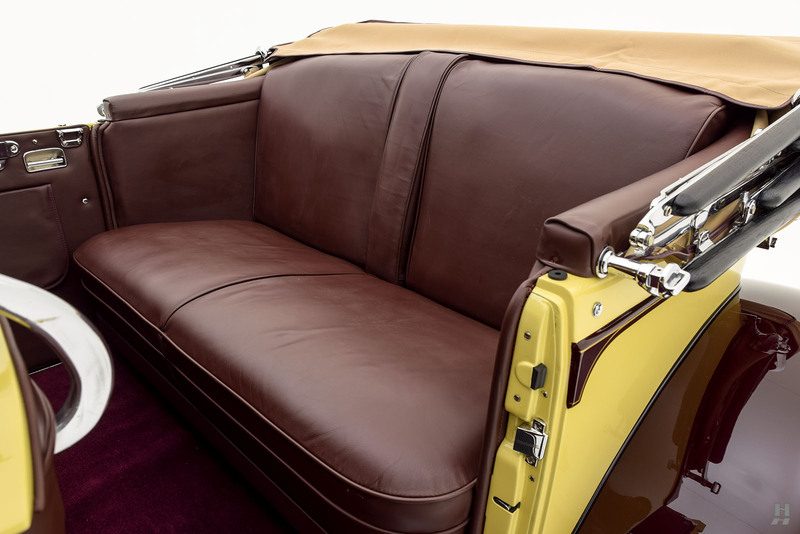 Fully restored and finished to a remarkably high standard, this AACA National First Prize-winning Cadillac is one of the most outstanding examples of its kind available. 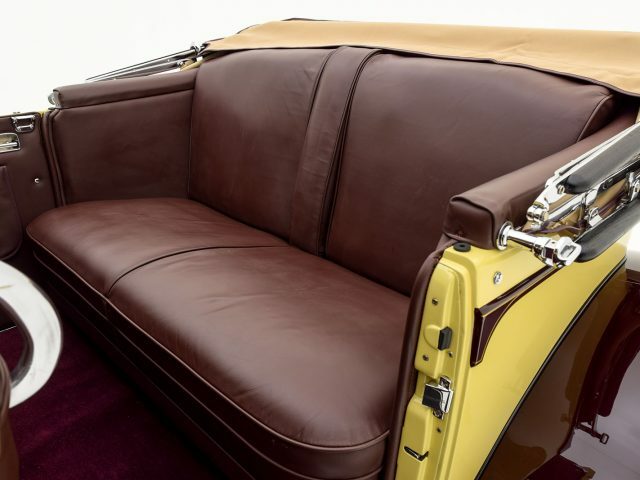 Exceedingly rare and strikingly presented in original colors, this marvelous Cadillac is exemplary of Harley Earl’s groundbreaking vision for automobile design and is a prime choice for the discerning collector to enjoy on CCCA CARavan tours or in any number of prestigious concours events.